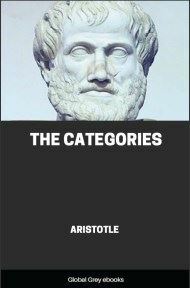 The Categories is a text from Aristotle's Organon that enumerates all the possible kinds of things that can be the subject or the predicate of a proposition. 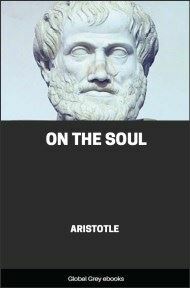 The work is brief enough to be divided, not into books as is usual with Aristotle's works, but into fifteen chapters. The Categories places every object of human apprehension under one of ten categories (known to medieval writers as the Latin term praedicamenta). 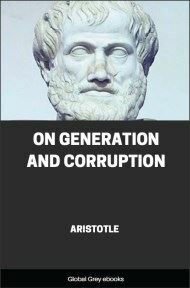 Aristotle intended them to enumerate everything that can be expressed without composition or structure, thus anything that can be either the subject or the predicate of a proposition. Forms of speech are either simple or composite. Examples of the latter are such expressions as 'the man runs', 'the man wins'; of the former 'man', 'ox', 'runs', 'wins'. Of things themselves some are predicable of a subject, and are never present in a subject. Thus 'man' is predicable of the individual man, and is never present in a subject. By being 'present in a subject' I do not mean present as parts are present in a whole, but being incapable of existence apart from the said subject. Some things, again, are present in a subject, but are never predicable of a subject. For instance, a certain point of grammatical knowledge is present in the mind, but is not predicable of any subject; or again, a certain whiteness may be present in the body (for colour requires a material basis), yet it is never predicable of anything. Other things, again, are both predicable of a subject and present in a subject. Thus while knowledge is present in the human mind, it is predicable of grammar.